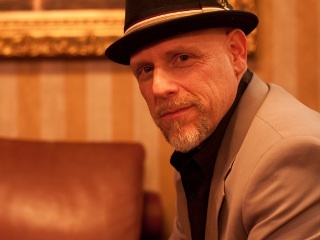 Tad Robinson (born June 24, 1956) is an American soul blues singer. Robinson was born and raised in New York City, attending school at Indiana University's school of music and graduating in 1980. He played regionally with a group called the Hesitation Blues Band, then moved to Chicago, where he became the vocalist for Dave Specter & the Bluebirds, singing on their 1994 album Blueplicity for Delmark Records. In 1994 he released his first album under his own name on the same label; four more have followed, three on the Severn imprint.